All Angels’ began in 1840s as a mission to the poor. It was founded as a missionary parish in a settlement called Seneca Village comprised of African-American, Irish, and German working poor. When the land was condemned by the city to create Central Park, All Angels’ continued to exist in a home nearby until it was given a piece of property of its own. 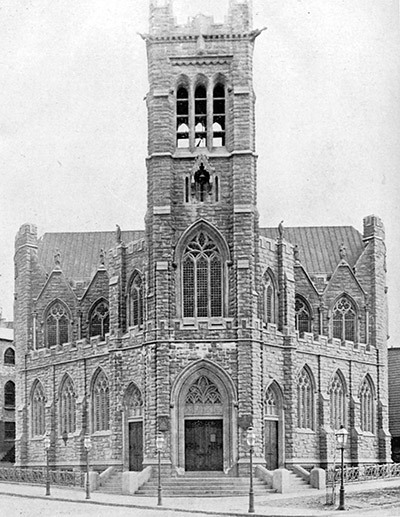 In 1859, the church was officially incorporated and established on the corner of West 81st Street and Eleventh (West End) Ave. 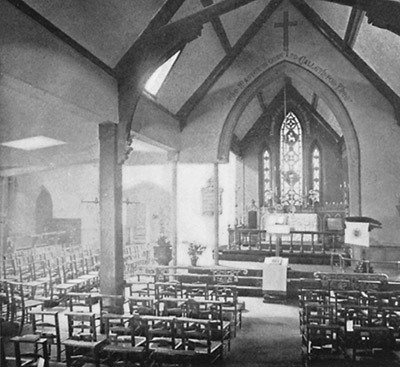 The parish flourished into the 20th century. As it built up a large sanctuary on its property, the church increased in size and stature. All Angels’ choir was known throughout the city and, at one time, All Angels’ Sunday services were broadcast on the radio. The church maintained its call to ministry to the poor, including summer respite for mothers and children at All Angels’ Farm (a forerunner to the concept of today’s Fresh Air Fund). In 1960s and 1970s, All Angels’ encountered difficulties, as did many churches in the neighborhood. 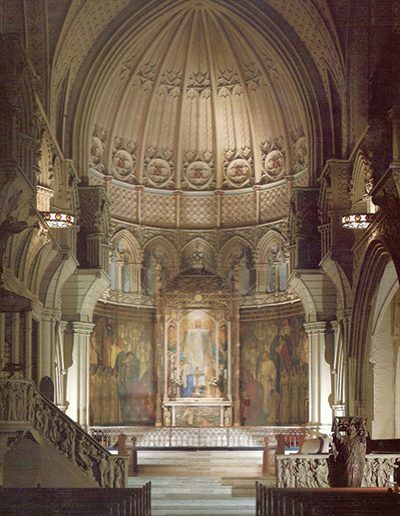 Despite its diminished size, the church pioneered contemporary music and art in worship. It maintained its commitment to the neighborhood through numerous programs including the DOME Project, the West Side Tenants’ Union, and the West Side Alliance. 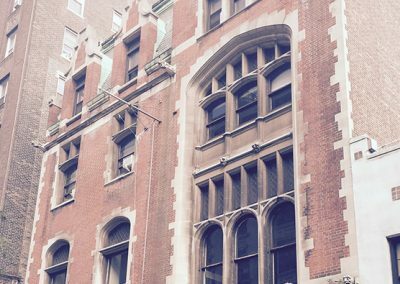 In the late 1970s, All Angels’ made the difficult choice to sell its grand sanctuary building and retain only one of its four buildings, the Parish Hall, located on 80th Street between Broadway and West End Ave.
From the tiny, remnant congregation housed in the only remaining property, All Angels’ grew again. 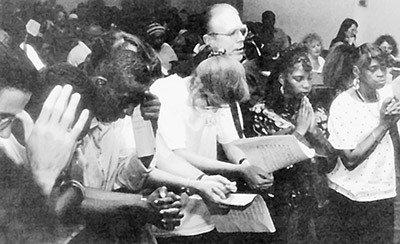 In the 1980s, through a renewal of God’s spirit in the people and God’s mandate to serve, All Angels’ established its ministry to the homeless poor including Sunday dinner, a weekend Shelter, and its twice-a-week Drop-In Center. As a ministry to children and families, All Angels’ began what is now one of the most dynamic Sunday Schools on the West Side. From humble beginnings to the present day, during times of prominence and in times of diminished resources, service to the community has always been motivated and anchored in our church’s worship of God, through praise, prayer, and discipleship. Our commitment to sharing God’s word and his blessings with others has been an unchanging, defining attribute of our community and will continue to anchor our church in the future as we seek to build Christ-centered communities of witness and healing, and to equip people to be a transforming presence in New York City and beyond. 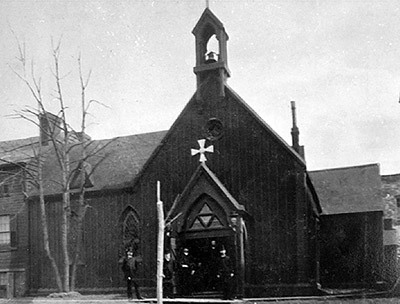 The original church building from Seneca Village served the parish at W 81st and West End Ave. until 1889. All Angels’ was founded as a “free pew” church. The original seating was in chairs. All Angels’ sanctuary built at West End Ave. and 81st St. in 1890 could seat about 1000 people. At the turn of the 20th century, the new sanctuary was endowed with many memorial works of art. 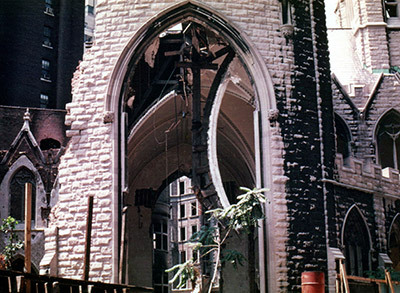 The sanctuary was razed in 1979. 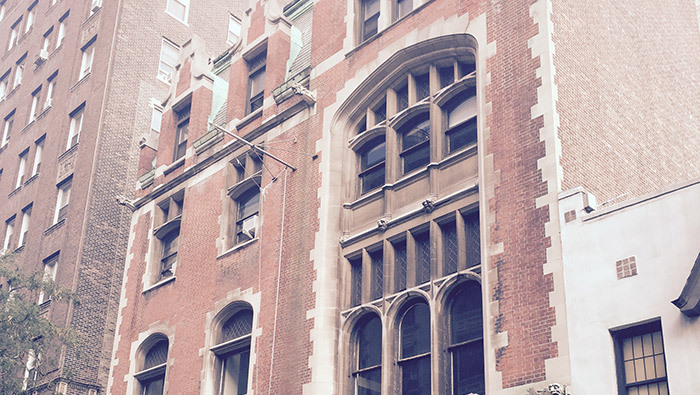 The congregation had already moved to the W. 80th St. Parish House.